With 367hp and four-wheel drive, the Audi RS 3 Sportback could be the ultimate hot hatch. The realm in which the Audi RS 3 finds itself is beyond that of the mere hot hatch. Its performance goes far beyond that, as the specification confirms. Twist the key in the ignition and the 367hp turbocharged five-cylinder engine awakens with the kind of audio theatrics you'd expect from a Lamborghini. This particular car is equipped with the optional RS Sports Exhaust system (€1,409) and the sound when the engine is started from cold is little short of provocative. It soon settles to an idle that remains purposeful, but there's no doubt that, as an owner of this car, you would never tire of firing up that engine each morning. It is difficult to find suitable terminology to describe just how fast the RS 3 is. Ballistic. Phenomenal. Staggering. These words all stop short of fully describing it. Without resorting to expletives, 'ludicrous' is probably the word to use. On a dry road it is comically fast, but deceptively so. With the throttle pedal full pressed the world moves terribly quickly past the windscreen and unless you keep one eye on the speedometer you will find yourself coming to the attention of the local constabulary in no time. Under heavy acceleration the pull of the five-cylinder engine is phenomenal, addictive and seemingly never ending. Peak torque is available right down in the rev range while the distinctive engine note, especially with that sports exhaust, makes for a grin-inducing cacophony that will make you keep your right foot planted. Gear changes happen with real slickness whether you choose to use the wheel-mounted paddles or leave it to the S tronic transmission itself. In Dynamic mode the upshifts are highlighted by a distinct crack from the exhaust that really adds to the whole theatre of this car. Trail the throttle into a corner and the spits, pops and bangs from the exhaust will make you feel like you have your very own Group B rally car. Lift off into a tighter radius corner and it is possible to unsettle the car enough to induce some mild oversteer, but the effort required to do that isn't matched by the result. This isn't a car that will wag its tail out of every corner though. For all of its pace the RS 3 remains a very composed car and point-to-point there is little that will keep pace with it. Yet it is so proficient at devouring ground at astonishing rates it sometimes forgets about pleasure for the driver. It is so competent and it flatters the driver so much you don't quite feel like you've conquered it, even when you find its lofty limits. In that respect it is almost too linear, too sanitised. It never feels like it is breaking a sweat. In general its subtle demeanour is what makes the Audi RS 3 stand out. To the average person on the street there is little that differentiates it from the many other Audi A3 S lines, especially if given a discreet specification. Inside, apart from the ever-present engine tone, it is a comfortable and reasonably refined car. Even rolling on 19-inch alloy wheels and with uprated suspension Audi has retained a good degree of civility for this car. The spring rates are progressive and the damping prevents the suspension from feeling too busy. Unsurprisingly, the RS 3 is a thirsty beast and whilst the novelty of embarrassing sports car owners when the traffic lights go green won't wear off that quickly, when you do drive it in a more mature manner the Audi does still have an unhealthy thirst for unleaded. Another limiting factor is the size of the fuel tank, which, unlike that in the Audi Q7 for example, isn't available with a larger capacity option. The Alcantara-trimmed steering wheel feels great in your hands, but the overall feedback through it is on the vague side for serious driving enthusiasts. Once your brain recalibrates to the feedback it is possible to place the RS 3 with a fair degree of accuracy, though in comparison to other well-sorted rivals it is one area that is slightly lacking. The all-wheel drive system feels far too neutral for our liking and even in its sportiest driving mode never gives the sensation of either front or rearward bias in its power delivery. Compared to the Ford Focus RS the Audi feels less exciting on the limit. The Ford is also €13,300 cheaper to buy. Yes, the RS 3 is a premium product from a premium brand, but at a starting price of €65,900 it is a substantial sum of money for this size of car. In the RS 3 price tag's defence, against the €66,550 Audi TTS the €650 difference, not to mention greater performance, makes the RS 3 seem almost like a sensible buy. In isolation the Audi RS 3 is a phenomenal piece of kit given its size, practicality and performance. It is playing to a limited audience at its price point though and even with its refinements there are still a number of genuine rivals snapping at its heels. 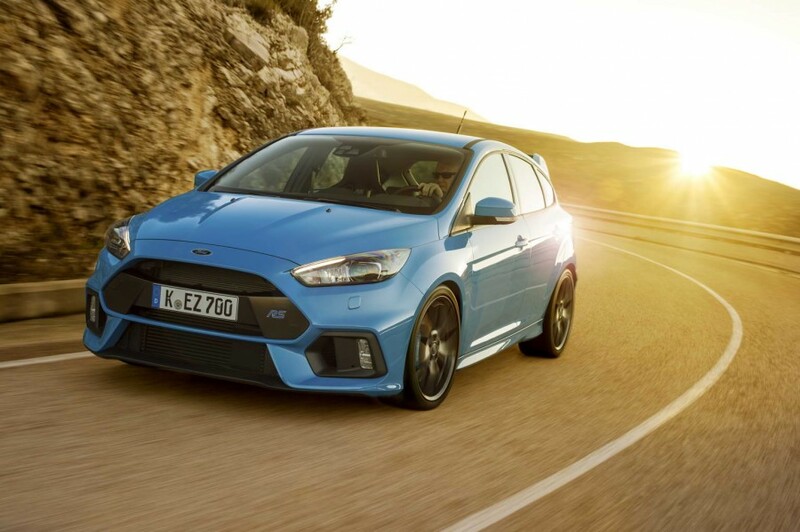 Ford Focus RS vs. Audi RS 3 Sportback: more mature than ever, now with 350hp and all-wheel drive. 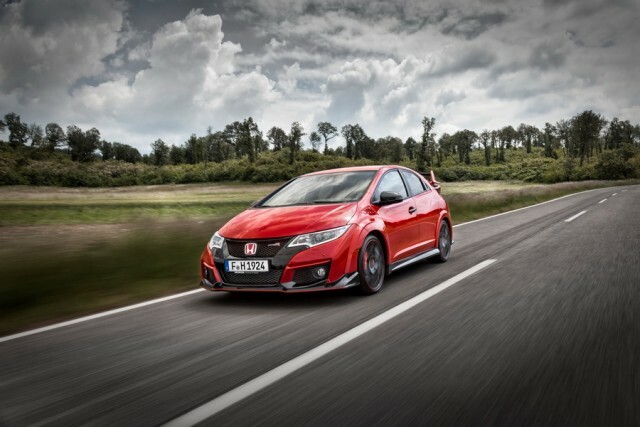 Honda Civic Type R vs. Audi RS 3 Sportback: extrovert styling with impressive front-wheel drive performance. 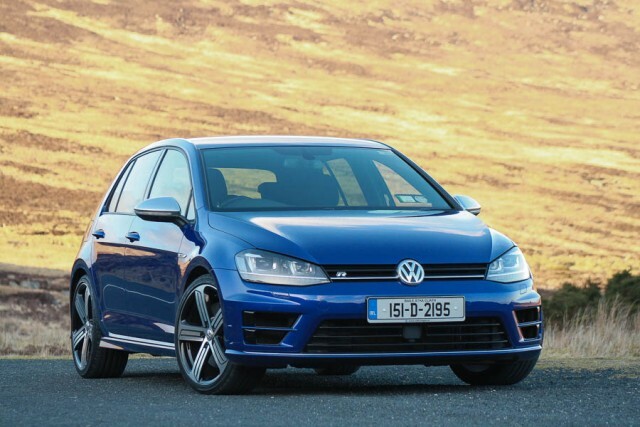 Volkswagen Golf R vs. Audi RS 3 Sportback: less power, but delivers a similar driving experience for less money.